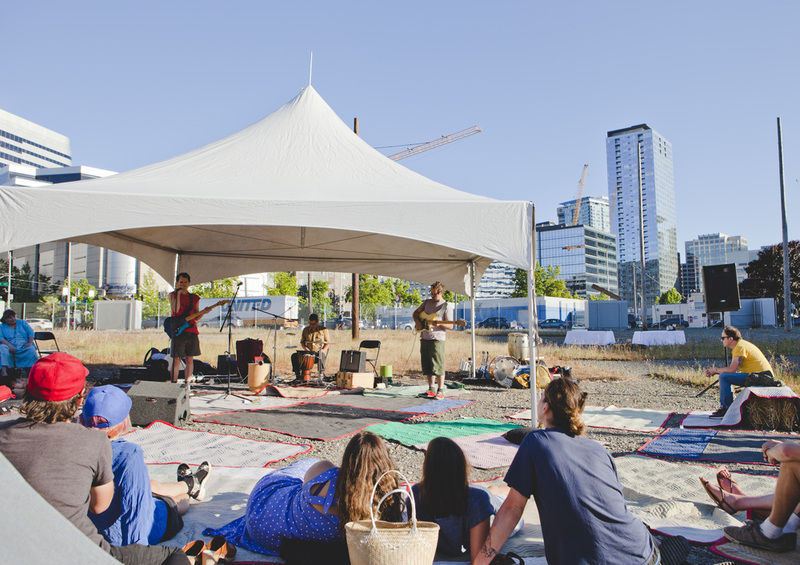 ALL RISE and Disjecta Contemporary Art Center present a special warm up set to Chris Johanson's fifth annual Quiet Music Festival of Portland, in Seattle June 25. 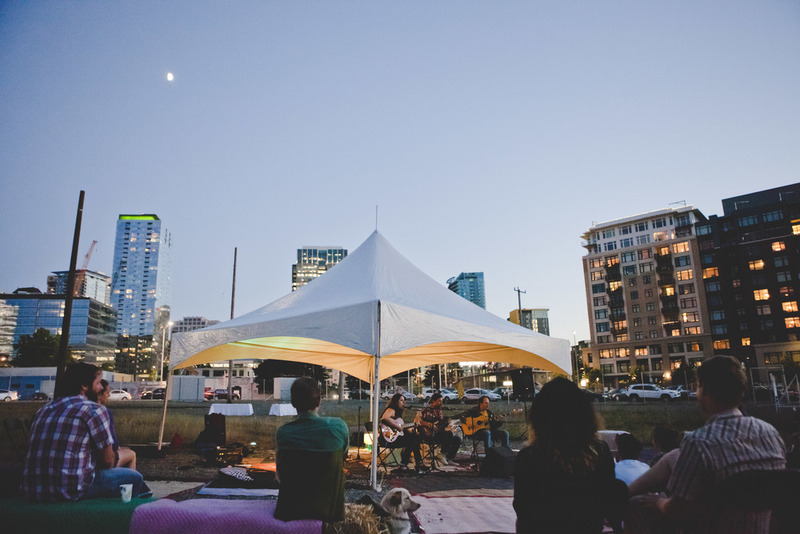 On Thursday, June 25, ALL RISE will be the site of a special Seattle performance of Chris Johanson's Quiet Music Festival of Portland, a one of a kind experience that has transformed Disjecta Contemporary Art Center, Portland, into a tranquil cave of sonic serenity for five years running. Tuning in and zonking out are equally encouraged as this year's line up takes you through soft sets tailored to the festival's ethos. 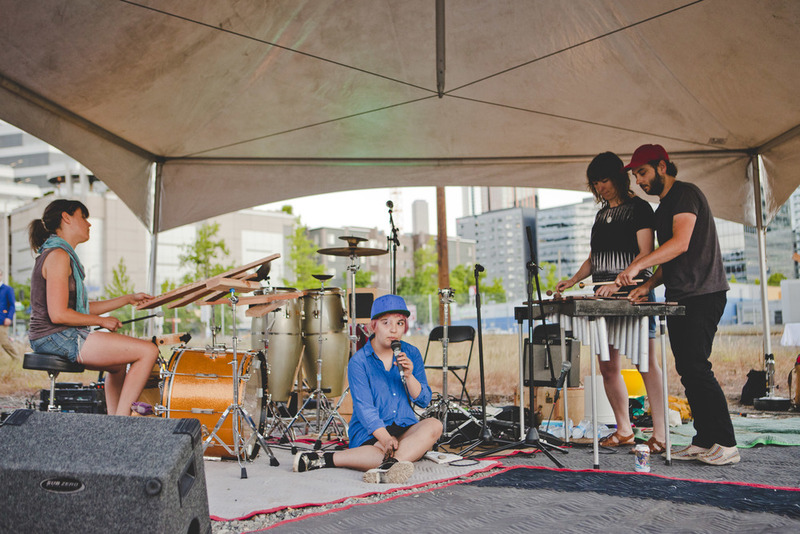 Celebrating the power of turning the dial down, the lowest-key festival in the land warms up with special sets by Sonny & the Sunsets, HITS (members of Secret Drum Band and !!! ),, Irma Vep, Amenta Abioto and Sun Foot, and then continues in Portland June 26 and 27 featuring Stephen Malkmus and The Jicks, Secret Drum Band, Sonny Smith, Timmy Straw, Peacers, Irma Vep, Linda Hagood, Conditioner, Ilyans Amhed, Amenta Abioto, Rebecca Gates, and Sun Foot. Sonny & the Sunsets were "birthed from the sand, the surf, and twilight campfires down in Ocean Beach." Their busted beach-pop songs spark recollections of doo wop’s otherworldly despair, a dose of goofball humor from the Michael Hurley school, and positive possibilities exuded by Jonathan Richman. A percussion-focused band that began as the site-specific multimedia project Hits of Sunshine in Joshua Tree, CA in autumn 2012, HITS is Allan Wilson (!!! chk chk chk), Lisa Schonberg (Explode Into Colors/STLS/Secret Drum Band), and Heather Treadway (Explode Into Colors). The U.K.’s mercurial songwriting talent Irma Vep’s performance exists as part of an “evolving drama” and Chris Johanson, Brian Mumford (Dragging an Ox Through Water), and Ron Burns’ (Smog) Sun Foot quietly excite with effervescent, positive, and peaceful jams. Amenta Abioto’s raw improvisational live performances invoke elements of both theatrical surprise and magic through ancient African diasporic sounds and stories. Featured art installations by Lucy Jones, John Brodie, Johanna Jackson, Daniel Long and Elizabeth Zvonar will add to the QMF vibe, all set on Molly Dilworth's urban meadow earthwork 2421 Miles. the creative enterprise J and C Arts in collaboration with his partner, Johanna Jackson. Founded in 2000, Disjecta Contemporary Art Center builds ambitious programs that promote artists and engage communities. These dynamic programs showcase new work and fuel collaborations between artists, curators and viewers that impact and intervene in the larger contemporary arts dialogue. Disjecta’s reach extends far beyond the arts and encompasses the true essence of a cultural facility: a place where ideas, dialogue, creativity, and diversity flourish.